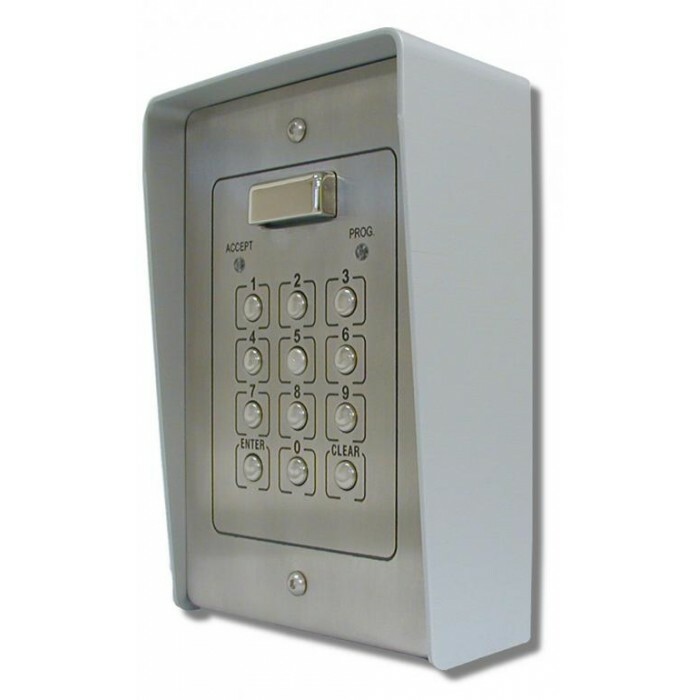 900NS A surface mount stainless steel non-volitile code lock with two relays, sixty codes and two push to exit inputs. - The codes can be from 4 - 8 digits in length and can be programmed to operate a relay from 01 - 99 seconds or toggle the relay with a 00 relay time. - DIMENSIONS: 103mm(W) x 160mm(H) x 60mm(D).